The Seaman’s Identification Record Book (SIRB) or popularly known as Seaman’s Book is a major requirement to all aspiring seafarers before they can be considered eligible to work on shipping vessels. Instead of a visa or a passport, you need the Seaman’s Book before going onboard a ship or vessel. The sole agency that issues the Seaman’s Book is the Maritime Industry Authority or MARINA. In the past, getting or renewing your Seaman’s Book was a nightmare because you have to endure long lines and processes. Thanks to the internet, the MARINA has found a way to reduce the pain and hassles in doing transactions with them. Nowadays, getting a seaman’s book first time or applying for seaman’s book renewal is now fast and simple using the MARINA Integrated Seafarers Management Online (MISMO) System. With it, Filipino seafarers can now schedule their convenient time and date to process their seaman’s book. Without much further ado, here is our step-by-step guide on how to apply for a Philippine seaman’s book using the MARINA’s MISMO system. If you haven’t applied for/renewed your seaman’s book yet, please read on. Who May Apply for a Seaman’s Book? Any Filipino seafarer who intends to be engaged in any capacity onboard any foreign-flagged ship. Those who are onboard warships/naval vessels/naval auxiliaries and fishermen onboard fishing vessels regardless of tonnage engaged in the domestic fishing operation are exempted from the SIRB requirement. In the case of personnel onboard ships not engaged in commercial activity, the SIRB shall be optional. If you are a licensed officer, bring these additional documents along with the above-mentioned requirements during your scheduled date and time. You can bring your uniform for picture taking or you may opt to rent one in MARINA for a fee. Do not forget to bring the original documents (for verification purposes) when you apply or renew for the SIRB. The MARINA Computerized photograph is strictly availed inside MARINA office only. You can buy the documentary stamp inside the MARINA Office for about 20 Php. 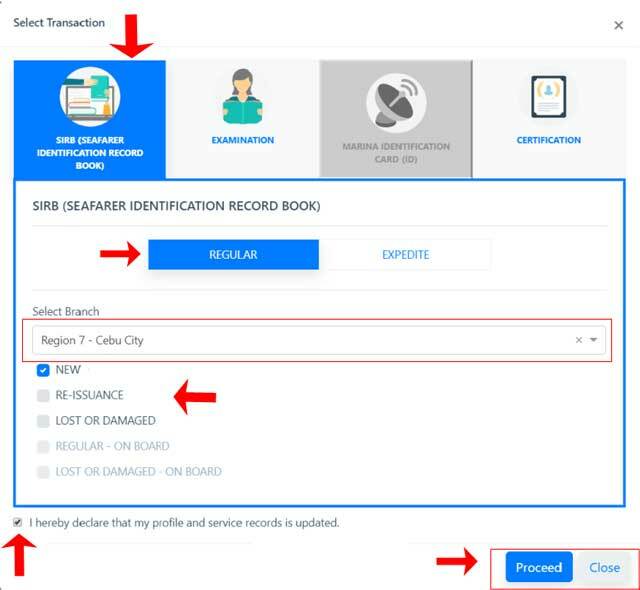 Before you set a schedule for SIRB new application or renewal using the MISMO system, you have to create an account first. Creating an account needs a valid email address. You can use either a Gmail or Yahoo email as the MARINA disclosed that they only cater to these email addresses. 1. On a computer with a good internet connection, choose your preferred browser and go to the MISMO website through this link. If you have an SCS account, you can sign-in to the system using your SCS username and password or you may opt to sign-in via SIRB. Otherwise, click the sign-up button then register a new account. 2. Fill-out the required information, accept the terms and conditions and click the register button. 3. Verify your email account to complete your registration. 4. Congratulations! You can now book an appointment for your SIRB application or renewal. 1. Go back to the MARINA MISMO home page through this link. Click the Sign-in button and fill-out the log-in details. Tick the reCAPTCHA box to confirm that you are actually a human and not a bot. 2. Fill-out the needed information and upload a valid profile picture. 3. After checking if all the information are correct, click the Save Changes button at the upper-left side of the screen. 4. Click the Select Transaction button then choose the SIRB tab. After that, choose your preferred processing time (regular or expedite), your preferred MARINA Office and your transaction (new SIRB application, renewal, etc). 5. Tick the box declaring that your profile and service records are updated then click the Proceed button. MARINA will send you a text message reminding you to bring the original copies of your uploaded documents and bring your own marine uniform on your appointment date and time. 6. You will be redirected to the Application Information window showing the details of your application including the requirements. Scroll down to the lower portion of the page to see all the required documents. 7. Upload the scanned copies of all the listed documents. Remember to keep the file size under 1MB or less. Hit the Submit button once finished. After clicking the submit button, your profile including the documents you uploaded will be checked and verified by the MARINA Online Evaluator team. It may take up to 24 hours to complete the online evaluation. You will receive a text message informing you that your application was approved for the online appointment. In the event that your application was rejected, go back to your MISMO profile, select the Application tab then click View Details. You can see the status of your documents in there. 1. 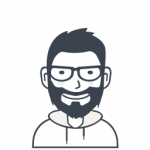 Log-in to the MISMO system then click the Application tab. After that, click the For Appointment button/link. 2. You will be redirected to the Slot Locator tab. Here, you can choose your desired time and date for your final evaluation. Select the MARINA Branch nearest your place. 3. After picking your preferred time and date of your appointment, click Proceed. A confirmation will appear that says: Appointment Set Successfully! 1. After clicking the Proceed button, you will be redirected to the payment page. Read the guidelines on how to pay for your transaction. 2. Next, click the Proceed button again then click Confirm. After the confirmation. MARINA will send you a text message informing you of the payment reference number. 3. Pay the fee in select MARINA partner payment centers across the country. You only have 24 hours to pay in the payment centers. After that time period, your transaction will expire and you have to set your appointment again. After setting up an appointment and paying your transaction, go to the appointment date you set in MISMO. Do not forget to bring all original documents for verification. Your Seaman’s Book will be released after everything has been checked and verified. Congratulations! You now have your Seaman’s Book! Your passport to the world of seafaring!